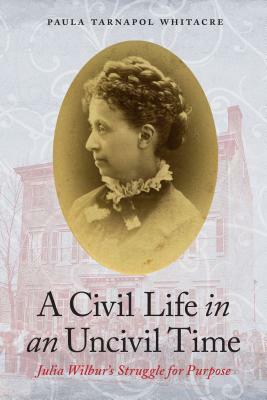 Paula Tarnapol Whitacre describes Wilbur’s experiences against the backdrop of Alexandria, Virginia, a southern town held by the Union from 1861 to 1865; of Washington DC, where Wilbur became active in the women’s suffrage movement and lived until her death in 1895; and of Rochester, New York, a hotbed of social reform and home to Wilbur’s acquaintances Frederick Douglass and Susan B. Anthony. Paula Tarnapol Whitacre is a professional writer and editor for organizations including the National Institutes of Health and the National Academy of Sciences. A graduate of Johns Hopkins University, she is a former Foreign Service officer and staff writer for the Washington Post. She participates in excavations, conducts archival research, and gives presentations on topics related to Alexandria, Virginia, where she lives with her family. Visit her website paulawhitacre.com.